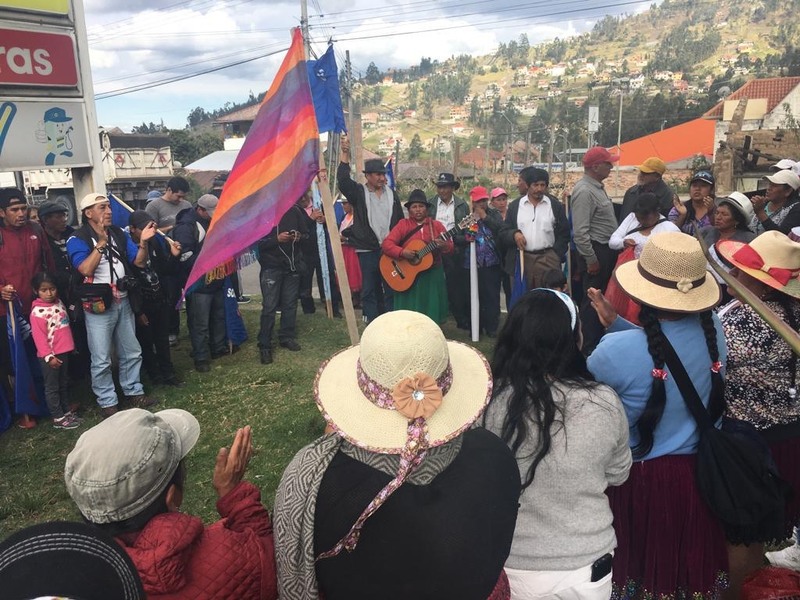 QUITO, ECUADOR — Thousands of activists and indigenous leaders have gathered in Quito after a 10-day march across Ecuador in defense of water and land rights. An estimated 2,000 people joined in towns and cities along the route, which began in Tundayme in the Amazonian province of Napo on November 4 and finished in the capital on November 14. 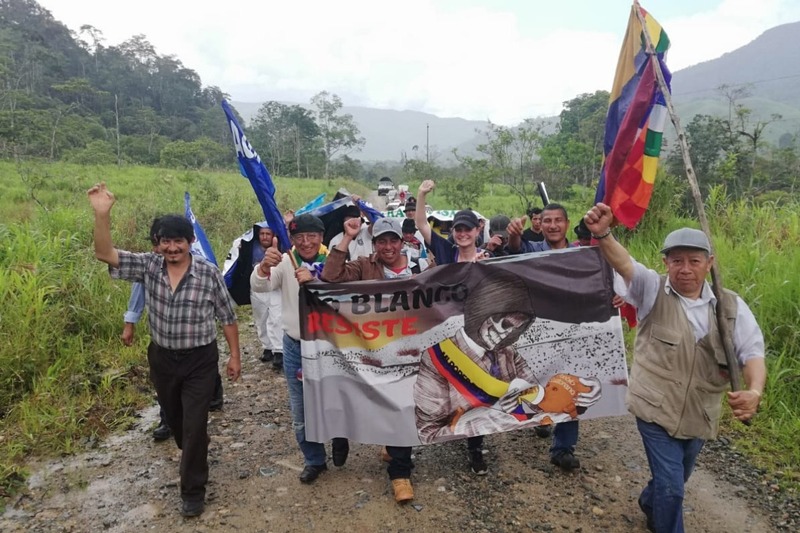 Organized by ECUARUNARI (Confederación de la Nacionalidad Kichwa del Ecuador), the 890-kilometer march (equivalent to 553 miles) was a protest against mining and hydroelectric projects participants said are decimating Ecuador’s forests and encroaching on the land of indigenous communities. Ecuador’s indigenous communities have long battled for their land and water rights. For years, the government has practiced “extractivism,” a model in which the extraction of natural resources would drive spending for social and economic programs. In the last decade, the policy has led to mining concessions being liberally handed out to international companies. Throughout 2016 and 2017 alone, the government gave concessions to more than 2.9 million hectares of land for mining exploration—much of this land includes previously protected forests and indigenous territories, particularly areas of important biodiversity. As much as 78 percent of all existing concessions are in the richly biodiverse Andean zone. Ecuador’s environment minister Tarsicio Granizo said in July that the government is considering other models other than “extractivism” in the long-term. The current government has also been plagued by corruption allegations related to land concessions. 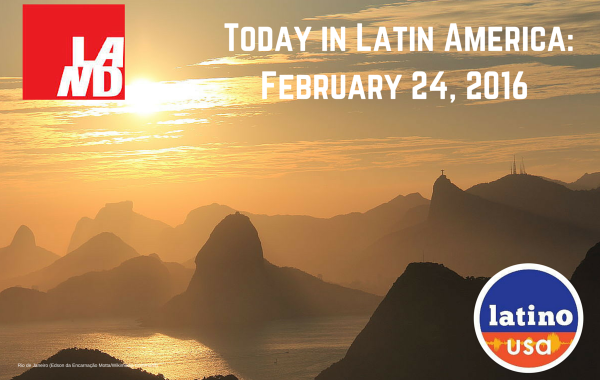 In December of last year, vice president Jorge Glas was found guilty of receiving bribes from Brazilian construction company Odebrecht. He is currently serving a six-year sentence. 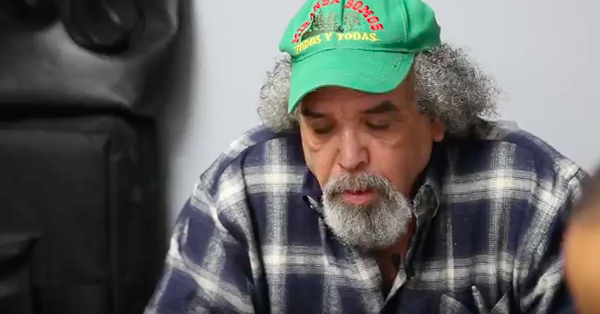 Aside from these allegations of misconduct, defenders and activists say they have faced threats, intimidation, and violence in the battle to protect their community’s land. The protesters are demanding that these land concessions be annulled and that the communities’ constitutional rights to access clean water be respected. They also demand the release of those who have been imprisoned for defending land and water rights. “The mining company, Yankuang Donghua, has entered into private property without permission and destroyed people’s property. People who don’t have anything to live by if they don’t have their land,” said Montero, whose community in Balsapamba has been defending its land for seven years against a Chinese mining project. “The struggle is very difficult because we’re fighting against the biggest capitalists, with countries that don’t have a history of respecting human rights or campesino indigenous rights,” Montero added. Montero’s community is not alone in fighting international corporations. In June this year, indigenous leaders and civil society organizations signed a letter to the Chinese embassy in Quito expressing concern over Ecuagoldmining, a company allegedly involved in attacks against indigenous leaders in May. Weeks before the letter was sent, a judge ordered the company to stop all mining activities citing a violation to article 57 which establishes people’s rights to be consulted about resource exploitation projects. According to Montero, he and other community leaders have received death threats due to their activism and opposition to mining. Ecuador’s human and environmental rights activists say the government has failed to investigate attacks and threats made against them. 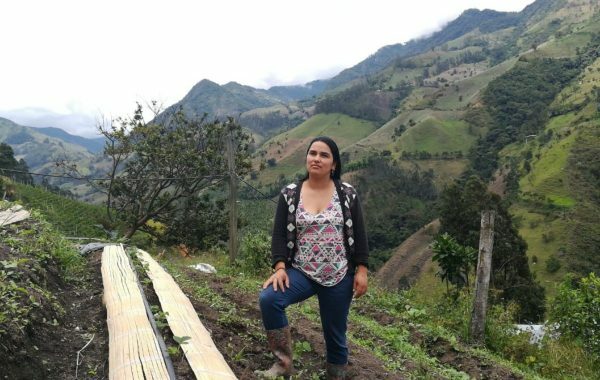 Their experiences have become an insight into the dangers facing environmental defenders in Ecuador and across the world: globally, 66 defenders have been killed protecting their land or natural resources so far this year. For many of the activists who reached Quito, this was a march for their lives. “The march legitimizes our collective resistance to prevent contamination and drying out of the most precious element of life,” said Yaku Pérez, ECUARUNARI president and indigenous leader. “Water is worth more than gold and each struggle helps to awaken solidarity in the communities in favor of those who have received death threats.” Pérez was among the group of human rights defenders kidnapped and beaten this past May in Molleturo. Trujillo is an activist from San Pablo de Amalí, Bolívar Province. For the last 15 years, he has been fighting the construction of a hydroelectric plant, promoting his community’s right for clean water. In 2016 he was accused of “organized terrorism,” charges that Amnesty International said were an attempt to silence his campaigning work. “I don’t have any other hope for the future except that the campesinos in Ecuador can stay in el campo, and that they will have healthy food to eat and water to drink. That is everything that makes me continue,” Trujillo said, as he walked alongside more than a thousand others in Guaranda. “What unites us is the fight for water and life. It makes me feel very happy to see everyone here because I can feel in our country and in the world there are many environmental indigenous defenders that are fighting for the same thing,” Trujillo explained. On Wednesday, demonstrators presented a law to the National Assembly calling for the government to prohibit metal mining and protect the country’s water resources. “We’ll wait until there are solutions from the government of the demands we’ve made,” Pérez said.